The Election Commission has filed an affidavit expressing its stance in response to a public interest litigation (PIL) that wants a direction to the commission to frame new guidelines making voting mandatory. The commission said right to vote was not a fundamental right but statutory. “The decision taken by the voter after verifying the credentials of the candidate either to vote or not to vote is his right of expression under the constitution. Freedom of expression means not only right to vote but would also include the right not to vote,” read the affidavit, prepared by advocate Amit Sharma. Additionally, the Election Commission informed the Apex Court that voting cannot be made compulsory since as it would violate the constitutional right of freedom of speech and expression. The poll conducting body told apex court that there is no constitutional duty or obligation upon the citizens to cast vote. “The law provides the citizen of India, the freedom to vote or to refrain from voting at an election on the ground of the same being the fundamental right of expression guaranteed to every citizen of India,” the affidavit read. 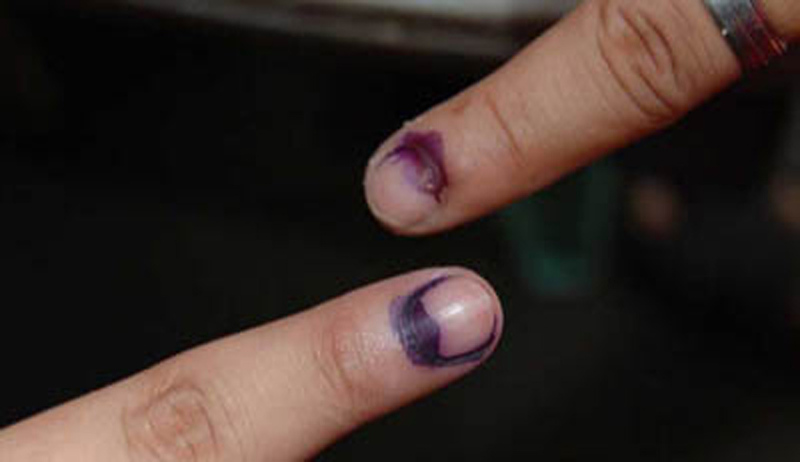 The EC also brought in the an earlier Supreme Court verdict in which the court directed the poll body to introduce a NOTA button in the voting machines so that the electorate has a choice to reject all the candidates at once. A bench headed by Chief Justice HL Dattu Friday directed the petitioner to respond to the EC’s aforementioned submissions. It also accorded time to the NDA government to file its version on the issue.